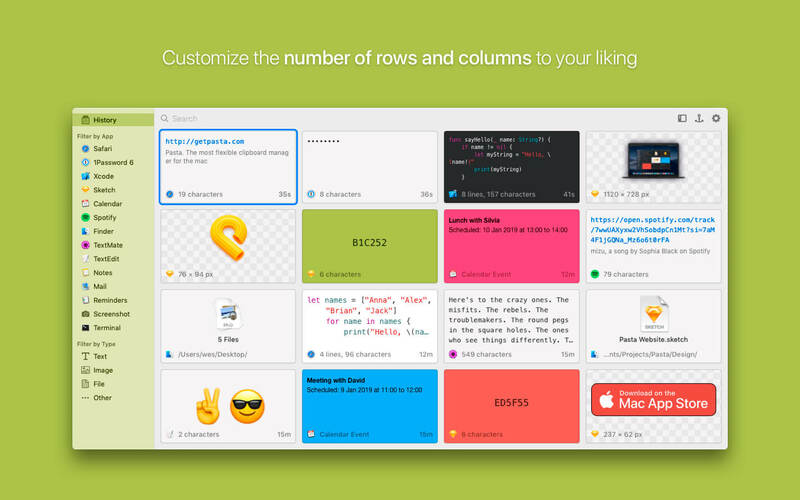 Pasta is a beautiful and flexible clipboard manager for the mac. 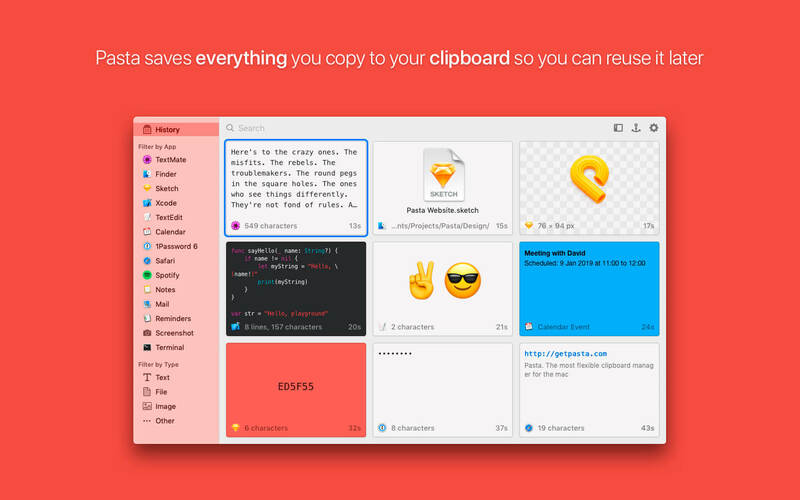 It saves everything you copy to your clipboard so you can reuse it later. 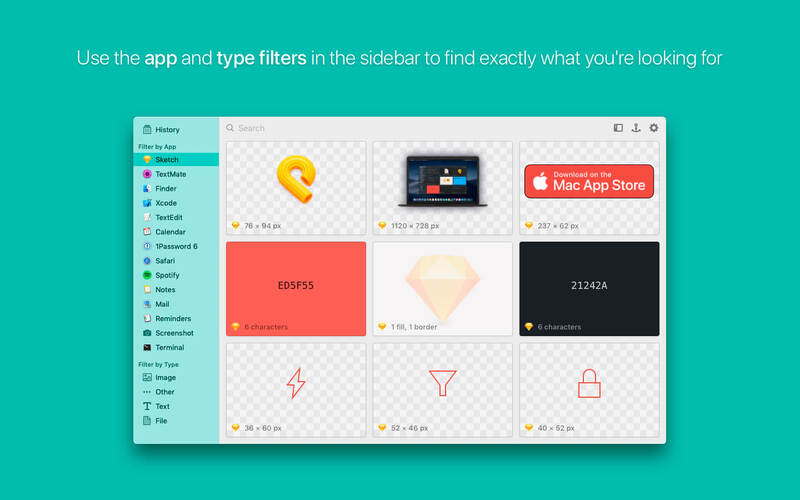 Pasta's flexible grid interface helps you to better see your clipboard history so you can quickly find what you're looking for. Bring up Pasta with a keyboard shortcut or using the menubar, double-click the clipping you want to restore, Pasta then gets out of your way. Filter your clippings by the app where they were copied or by what they contain. Finding a clipping has never been so easy. Pasta's powerful search can find clippings by content, application, type or even the window's name. When copying sensitive information from apps like 1Password, Pasta will obfuscate it on screen and will encrypt it when saved to disk. Pasta supports macOS Mojave's Light and Dark modes.